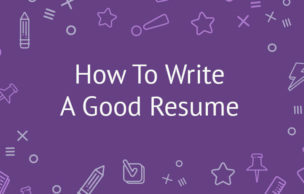 Even with a weak resume, having a smart cover letter might be all you need to get a job. We hope that with these guidelines we will assist you in writing the best of these documents. It’s quite a straightforward written outline, and by following it, you’ll quickly get more interviews. Also, with our free to download the checklist, you can quickly identify issues missing in your letter. If you can include just these four aspects, your cover letter will be compelling and convincing. Besides, it offers the best resume companion! While the above example shows all the information to write in this part, you can format it in different ways. Go through some of the attractive cover letter layouts we have to learn about more fundamental ideas. It’s essential that you know the person that you’re writing to. Here, you should put yourself in the shoes of your hiring manager. Most people use “Dear Sir/Madam or “To whom it may concern” Although both are useful addresses they are not so popular nowadays. “Dear Sir or Madam“portrays you as someone still living in the 1860’s. “To whom it may concern” is considered annoying to most hiring managers. Proper research is necessary if you are going to avoid this problem quickly. Do a thorough analysis of the company’s LinkedIn, website or even call the organization to get the recruiting managers name. Don’t worry if you get it wrong; it’s still good to show that you’ve made some effort. Start by accurately describing the position you want to the employer. Also, show how you came across the opportunity. The entire paragraph should display all your necessary information. These are details such as your degree and expertise or area of study. Remember to write your career goals and show how they match with the goals and objectives of the organization. The second paragraph of your cover letter should directly respond to the type of job written by the recruitment manager. Here, you should carefully describe your skills, previous job experiences, and abilities. Explain how these traits will help you to meet all the needs of the company. To make it easier, you should write phrases and words as found in the employer’s job description in your letter(s). It’s also advisable that you take the extra mile and do enough research on the company. Try and find out what they do and why - considering the current situation of their organization. Have a third paragraph, where you’ll explain your role in that schema, and how you can help take the industry forward. Talk about how you plan to achieve any objectives you think they might have. The final piece of your cover letter is known as the “call to action.” Here, you should tell the recruitment managers that you’re ready to come in for an interview. Let them know that you’ll call them within a week if you don’t get a response. Remember to thank them for taking the time to go through your cover letter. Other than coming up with relevant page content, the real feel and look for the letter is also an essential factor of your document. Take care of things such as font and margin sizes, and style as well as alignment. These play a huge part in building a good impression with your hiring manager. To be on the safer side, use margins of around 1 to 1.5. If you experience trouble in putting everything on a single page, you can just adjust the measurements. However, take great care not to produce crammed up content. Use a font size of 12-points and above. If specified, you can go below this number but keep in mind that those fonts of lower than 12 may strain the eyes of the hiring manager. The font style depends on your preference. Here, try to pick one that matches what your potential employer uses or appears professional. Maintain the same type of alignment all through - we advise that you left-align all the paragraphs in your cover letter. For cover letters, we’ve found that it’s best to use the applicant tracking system (ATS). The software ensures that you read up on your document before sending it to the recruitment manager. The program is mostly meant for reading through job application resumes. They go through key-phrases and keywords to accurately determine if you should move on to the next page. Interestingly, 70% percent of all jobs are filled using the applicant tracking software. Other such software goes through letters, while others do not. So, it’s good to be always prepared. Luckily, with the instructions provided above, your cover letter should be in perfect shape. Still respond directly to the job requests of your potential manager, and remember to include some of the languages in the job description. 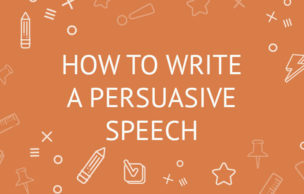 Once you’ve done this, you already give yourself a higher likelihood of identifying key phrases and keywords. Who Reads Your Cover Letters? Eventually, someone will always read your letter. Will they go through it carefully? Well, this depends on the recruitment manager. There are those who use the letters to clear candidates from the large stack. Other hiring managers believe that it’s better to judge a candidates qualification from his or her interview skills. Whichever the case, you’ll need to come up with an impressive cover letter. It’s the only way to improve your chances of landing a job. We have some of the most fantastic cover letter templates for you to choose from when the time comes. Pick the section that suits you, your present life situation and work experience in the best possible way. When it comes to the tone, choose the one that matches your unique personality. Show the hiring manager your hard professional qualifications - Our amazing cover letter samples and resume by company pages will help you in coming up with the best language to use. Include your GPA - Your GPA should be above 3.5 for you to insert it here! “Red Flags” play a crucial role when it comes to writing a cover letter. So, what is a red flag? Well, it’s something in your personal or professional history that can negatively change the way a recruitment manager views your entire job application. While several red flags are quickly addressed in the document, you should leave others for your interview stage. Here is a list of the eight most significant red flags found in different cover letters. If you find one that applies to you, make sure to learn how you can handle it. It should not be something that prevents you from getting a suitable job! Have you been previously laid off? Another important issue that we need to address is whether or not you need to include your salary requirements in your cover letter. For professionals, it may seem unfair applying for a job and then starting off in a beginner’s salary. However, unless specified in the job advertisement, do not include your salary or wage requirements. With the above information, you’ll find that writing a cover letter is a pretty straightforward process. You’ll only need to identify the four critical issues to address, and then nail them down in a simple yet impressively written letter. Good luck as you try to land the job!